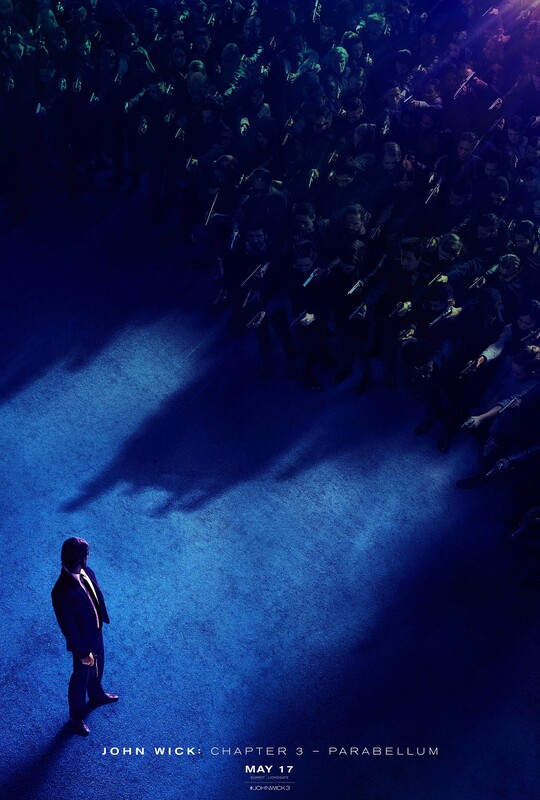 As we all sit and wait for the new trailer for John Wick: Chapter 3 – Parabellum to drop tomorrow, today we have a batch of awesome new posters to introduce to new characters in the movie as well as welcome back a few familiar faces. So who all get posters? 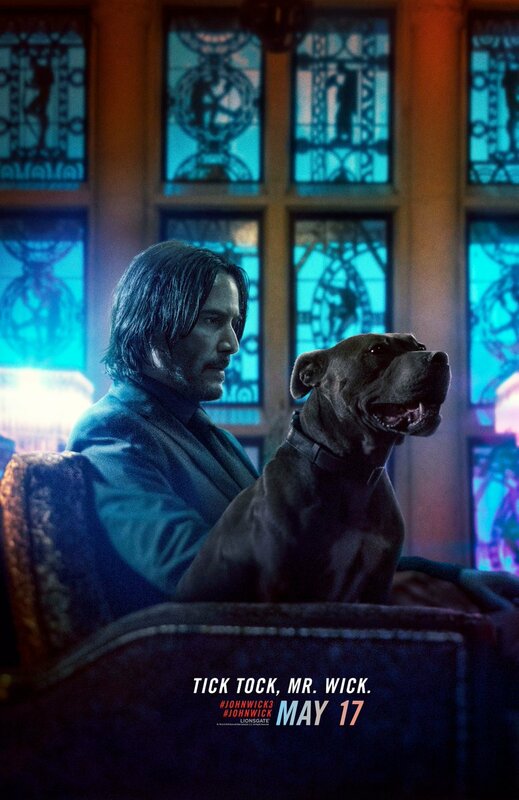 John Wick, played by Keanu Reeves, is back.. and he has a dog! 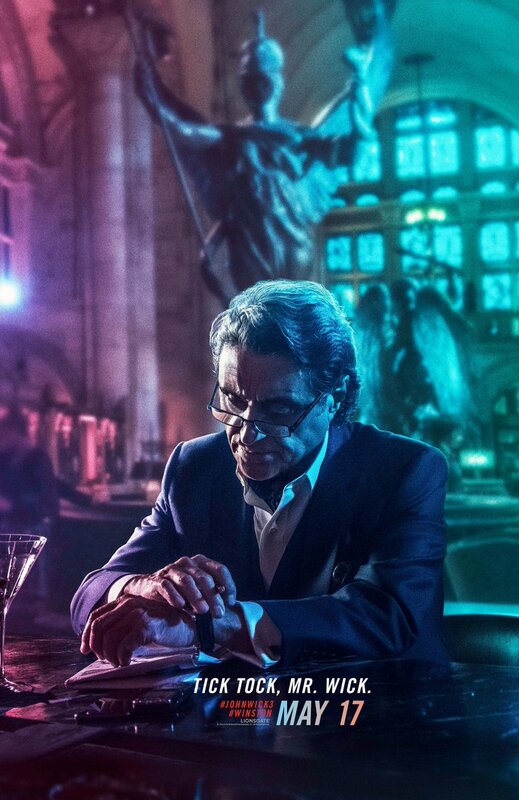 Ian McShane’s Winston, manager of the New York Continental and all round cool guy is back for the third outing, obviously. 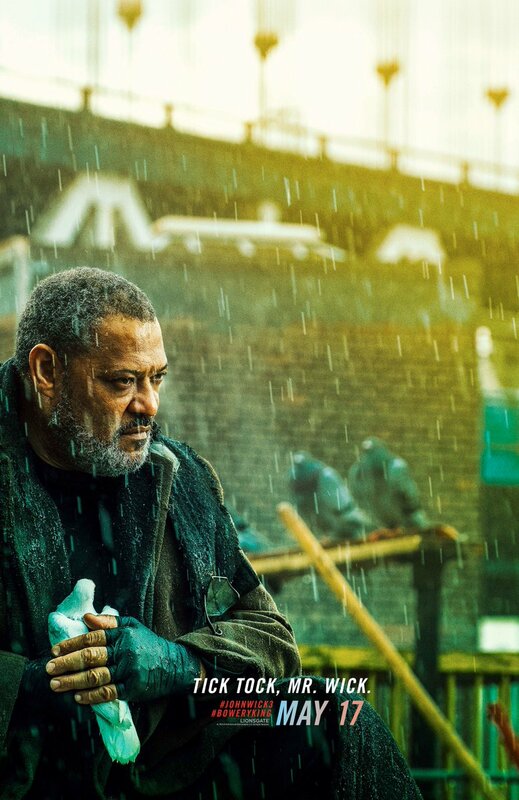 Laurence Fishburne is back as the mysterious The Bowery King. 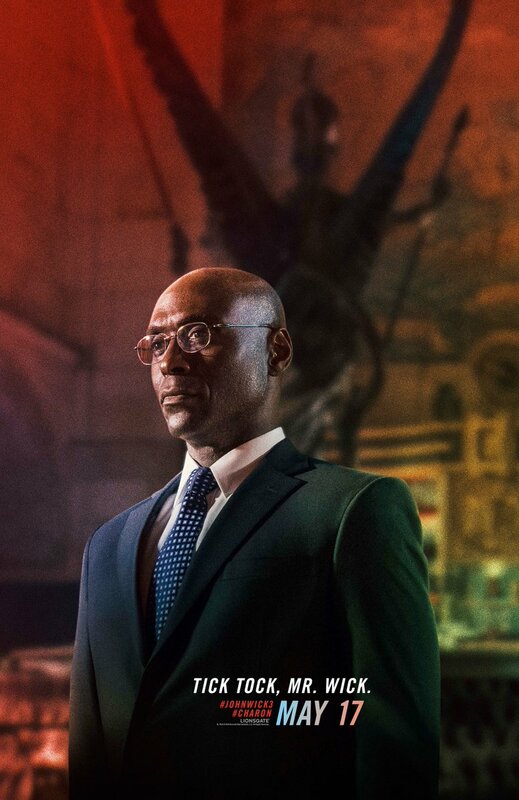 final returning face is Lance Reddick as Charon, the concierge at the Continental Hotel in New York. We suspect when The Continental series happens, he’ll be the main character… yes, please. 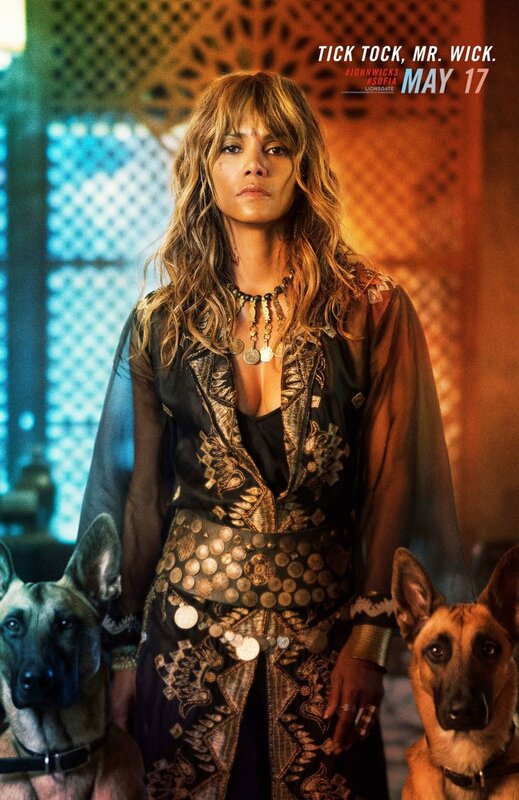 Halle Berry as Sofia, who we met in the first trailer, is here and she too… has dogs. 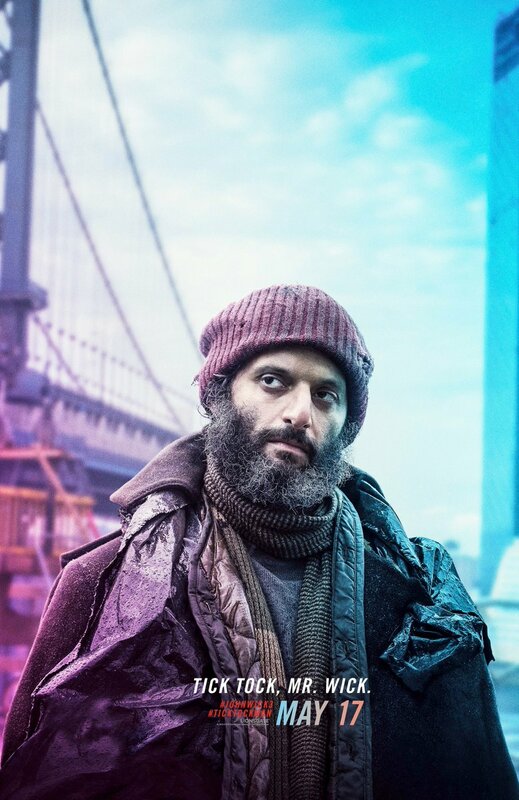 Jason Mantzoukas plays The Tick Tock Man, and we suspect the tick tock, Mr Wick tagline connects to him in a way that’s not a mistake. 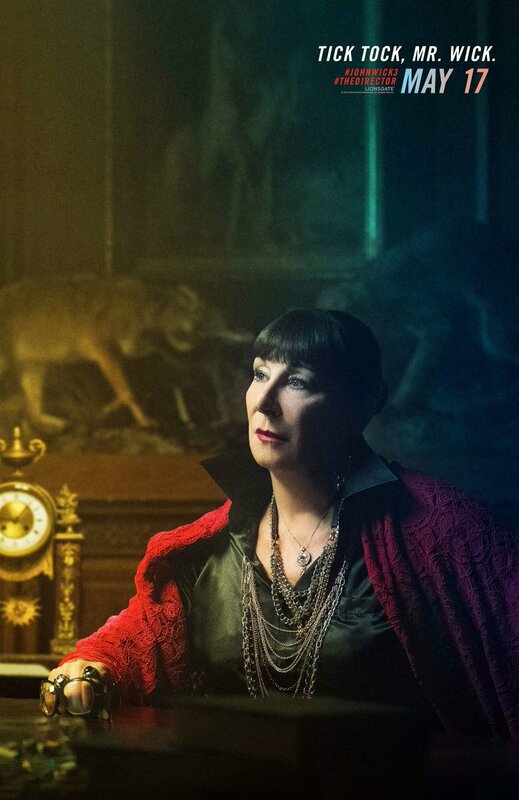 The amazing Anjelica Huston plays The Director, “a member of the High Table and protector of John Wick”. 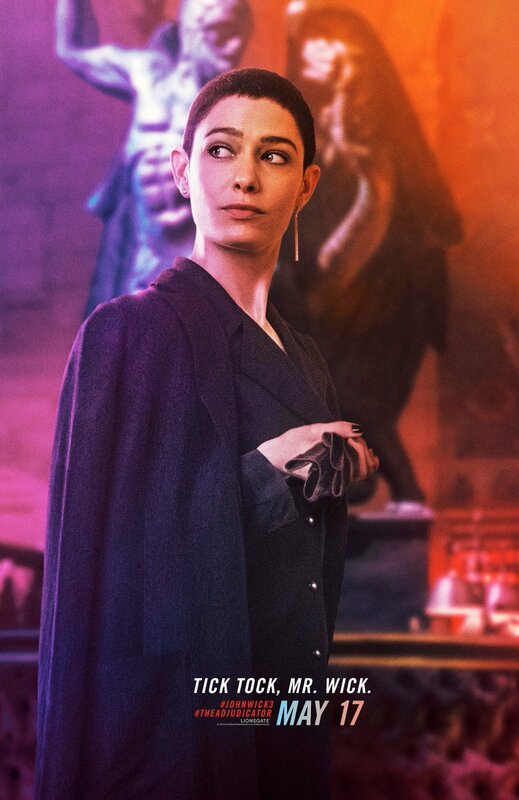 Asia Kate Dillon plays “The Adjudicator, a member of the High Table”. 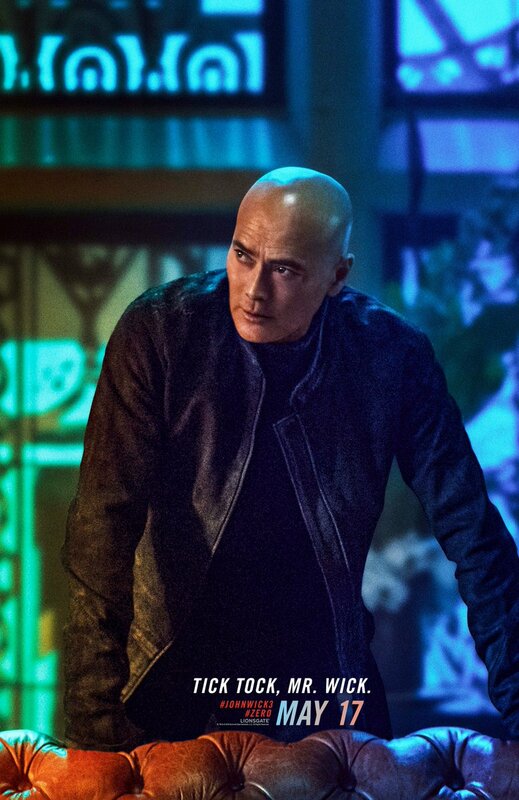 The legendary Mark Dacascos pays new villain Zero who apparently has respect for Wick but wants to kill him anyway. 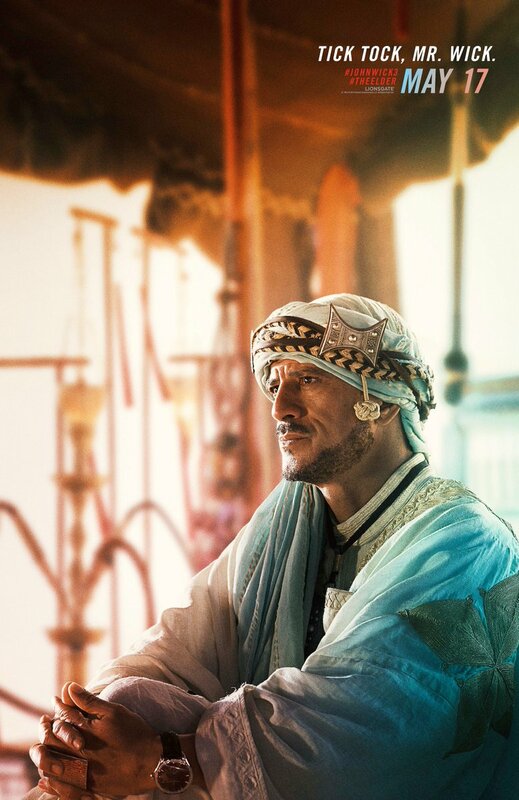 Finally, Wonder Woman star Saïd Taghmaoui gets a poster… but I’ve no idea how he plays because it seems his role is being kept hush, hush deliberately. Stick with us for the new trailer tomorrow.